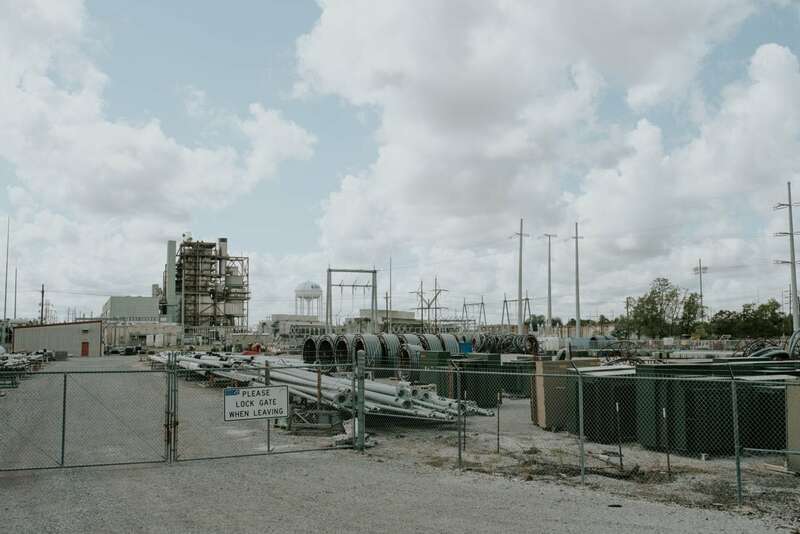 Bernhard Capital Partners, the private equity firm pursuing a contract to run the electric division of LUS, has begun to sell its case to local leaders and council members in private meetings over the last week. The firm is presenting a vision of creating a Fortune 500 company headquartered in Lafayette, with a Bernhard-run LUS power at the center of the massive energy corporation. The flurry of meetings follows revelations, first reported by The Current in July, that the Robideaux administration had entertained privatizing the electric division of LUS for more than year, ultimately signing a non-binding letter of intent in April with BCP to allow the company to study LUS’s books and operations for a possible $526 million deal. Council members, including those sitting on LUS’s governing authority, were left in the dark about the administration’s conversations. “We’re reaching out to stakeholders on our plans for LUS and the future of Lafayette,” says BCP partner Jeff Jenkins, readily acknowledging the effort to inform community leaders beyond what they’ve read in the press. He quick-lists One Acadiana members, Lafayette businessman Wayne Elmore (current chair of the UL Lafayette Foundation), economic development representatives, council members and former elected officials among those he’s contacted. The acrimony and suddenness of revelations about the administration’s trajectory led longtime LUS Director Terry Huval to expedite his planned October retirement and sparked sufficient community outrage. 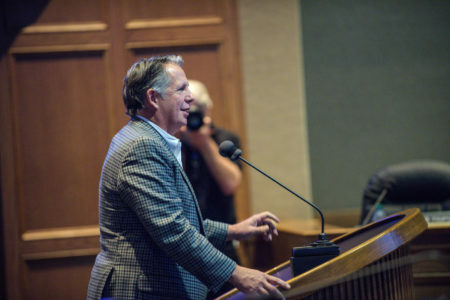 Despite the dust-up and speculation that the newly exposed deal could spell political disaster for Robideaux, the meetings show sustained interest on the part of BCP, which appears poised to follow through on an offer. Jenkins says the company hopes to build a Lafayette headquarters for the new management corporation, which he maintains has the potential to become a Fortune 500 company within three to four years. BCP is already scouting locations, having set it sights on three potential spots: the old Lourdes campus, the UL Research Park and Four Corners. “Lafayette is the only city that we are dealing with in the South where our plans for future investments in the community have leaked,” Jenkins says, noting that similar talks are underway with “multiple” entities like LUS across the South, which he points out has several hundred municipal power companies. “When we tell the story of what we’re going to build,” people will be more receptive, Jenkins suggests. In the past week, Jenkins has met with at least two council members, Liz Hebert and Bruce Conque. Jenkins laid out extensive economic arguments in a meeting with Conque, many Conque hadn’t yet heard. Conque says Jenkins described plans to form a major management corporation that would “address multiple utilities” across the South with Lafayette as the headquarters. A big question that remains is what any takeover of LUS’s electric division will mean for the in-lieu-of-tax contributions ($23 million this year for the whole system, including water, electric and wastewater) the public utility sends to Lafayette Consolidated Government’s bottom line every year. Could a headquarters in Lafayette offset that? And if BCP only takes the electric division, what happens to water and sewer? Would the Lafayette Public Utilities Authority and the City-Parish Council still govern LUS or would it fall to the Public Service Commission? The terms of the transaction could change once due diligence is completed — the non-binding LOI Robideaux signed with the company’s subsidiary, NextGen, in April contemplates a $526 million deal, including the assumption of $213 million in LUS debt, a lump payment of $246 million and up to $64 million in payouts, pending growth benchmarks. That LOI commenced the assessment Jenkins says is expected to take another 30 days. “We have a long history of building businesses in a big way,” Jenkins says. In making the case for Lafayette to keep an open mind, Jenkins points specifically to The Shaw Group, where he worked for a decade before the company was sold in 2013 to CB&I for $3 billion, and the subsequent impressive growth of BCP, which now has seven companies under management and 17,000 employees across the globe (including 5,000 in Louisiana). BCP also has strong ties to Lafayette. It owns ATC Group Services and EP Breaux Electrical, the latter now operating under the Bernhard Energy Solutions umbrella. Bernhard Mechanical, founded in Lafayette in 1919 by BCP Partner Jim Bernhard’s grandfather, is also part of Bernhard Energy Solutions. Councilman Conque, who has not been receptive to a change in the way LUS is controlled or managed, wasn’t won over by the presentation. “The presentation was compelling,” Conque says. “However, I continue to maintain that ownership and management of our utility should remain as it is today.” He says BCP floated convening a special meeting of the council later this month, potentially, Aug. 21, to lay out its plans. No meeting is confirmed. As chairwoman of the LPUA, LUS’s governing body, Hebert says she felt a responsibility to meet with Jenkins. “It was just super high level on who they were, and he apologized for how the news broke,” she says, noting that the conversation did not delve into specifics of the proposal. There appears to be urgency to the BCP deal, according to some who’ve met with Jenkins, but it’s unclear what might be affecting the timeline. Jenkins did say he thinks the process will move quickly once the due diligence is completed. Clearly, there’s a lot of work to be done between now and the end of the due diligence period — damage to repair, trust to rebuild. “At the end of the day, it’s their power and their choice,” Jenkins says of Lafayette stakeholders and voters. Additional reporting by Christiaan Mader. 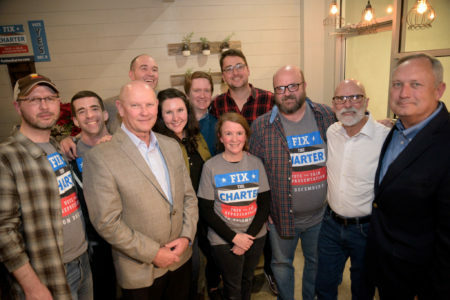 Fixing the charter was no fluke. It’s proof that positivity can work in politics. Fix the Charter focused on shared values while acknowledging the appropriateness of having different priorities. And the voters responded to that. More and more brewers are choosing to take the microbrewery route, avoiding the pricey startup costs and permitting minefields that plague conventional production breweries. 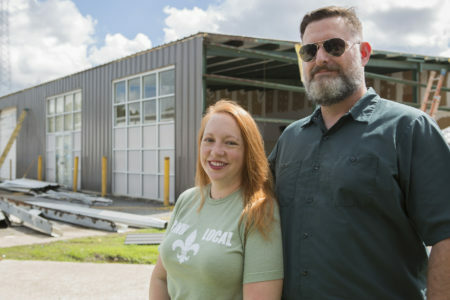 Starting this fall, Sawbriar Brewery will bring the microbrewery concept to Lafayette. The focus is craft, not production. Robideaux says the public doesn’t have all the facts on the NextGEN/LUS deal. He’s not helping. If the public doesn’t have all the facts, it’s in part because he’s not providing them. The bottom line is Robideaux’s account raises some red flags. Here are a few of the big ones.